Sample is Solitare palm, Ptychosperma elegans. 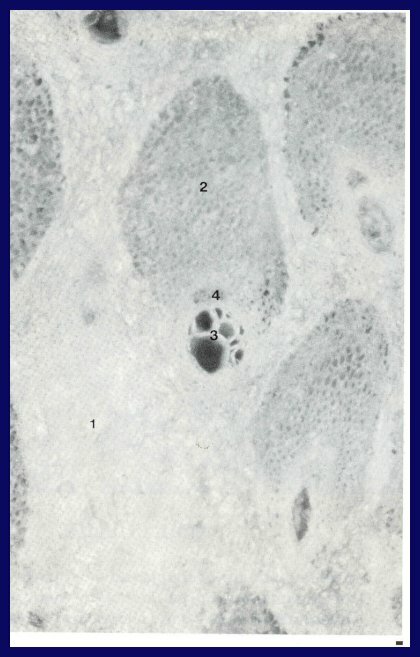 Thin-walled parenchyma cells make up the soft ground tissues (1). Very tough strands of vascular bundles made up of thick-walled cells (2), contain the xylem (3) and phloem (4). The tough stands within the soft ground tissues give palms unique abilities to bend without breaking during high winds.